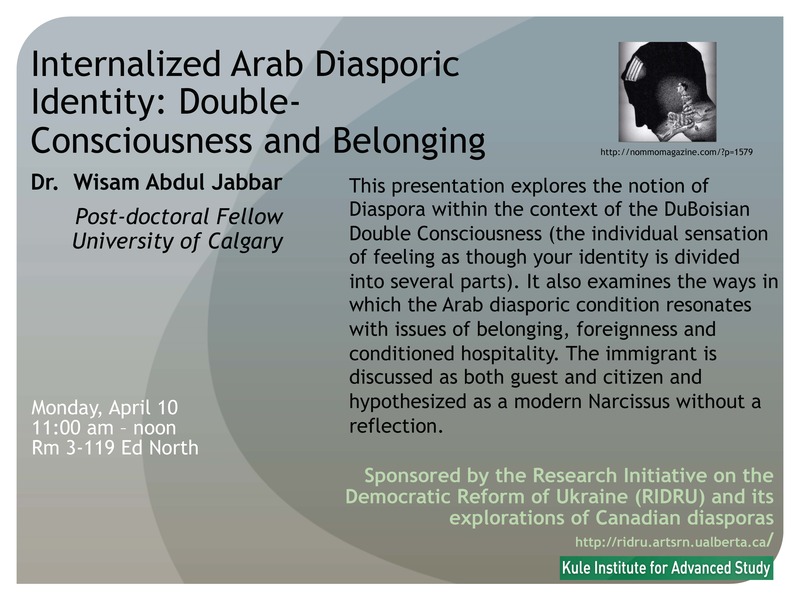 This presentation explores the notion of Diaspora within the context of the DuBoisian Double Consciousness (the individual sensation of feeling as though your identity is divided into several parts). It also examines the ways in which the Arab diasporic condition resonates with issues of belonging, foreignness and conditioned hospitality. The immigrant is discussed as both guest and citizen and hypothesized as a modern Narcissus without a reflection. Dr. Wisam Abdul Jabbar, Post-doctoral Fellow, University of Calgary.